Carl Zimmer has been wondering what to do next. Obviously, he's going to keep writing his wonderful science stories and continue to maintain the Science Tattoo Emporium but where to do that , and how to make money from it, is less clear. Carl's a scientific kind of guy, so he wanted get some data to inform his decision. The results of his reader's survey are out and they're interesting. But, for all Carl's skill with words data wants to be pretty, so here are a couple of the the key conclusions of his reader's survey illustrated with the help of ggplot. Where do readers of The Loom get their science news? 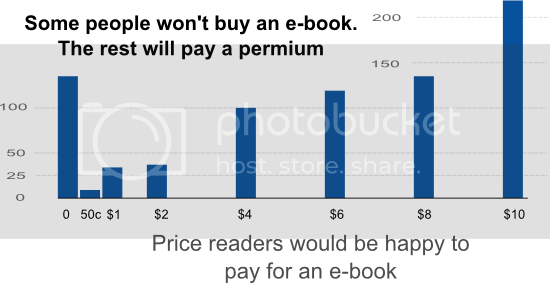 How much would they pay for an e-book from a scince writer they liked? All content not otherwise marked is licensed under a Creative Commons Attribution-ShareAlike 3.0 Unported License.